We all love a party. We’ve survived our busiest birthday month of April and the next family birthday coming up happens to be mine in August. Then we have a long run of birthdays from September to December- they keep on coming. I’m already starting to think about my three daughter’s birthdays which fall in September, October and December. I’d love them to have one shared big birthday party one year. I love choosing the tableware, the goody bags and all the party supplies. One problem I used to find was getting all the different components to match- there always seemed to be one thing missing from the range so we’d have to choose different design napkins or plates. One way to solve that problem is to buy your party supplies from Party Bags and Supplies online. 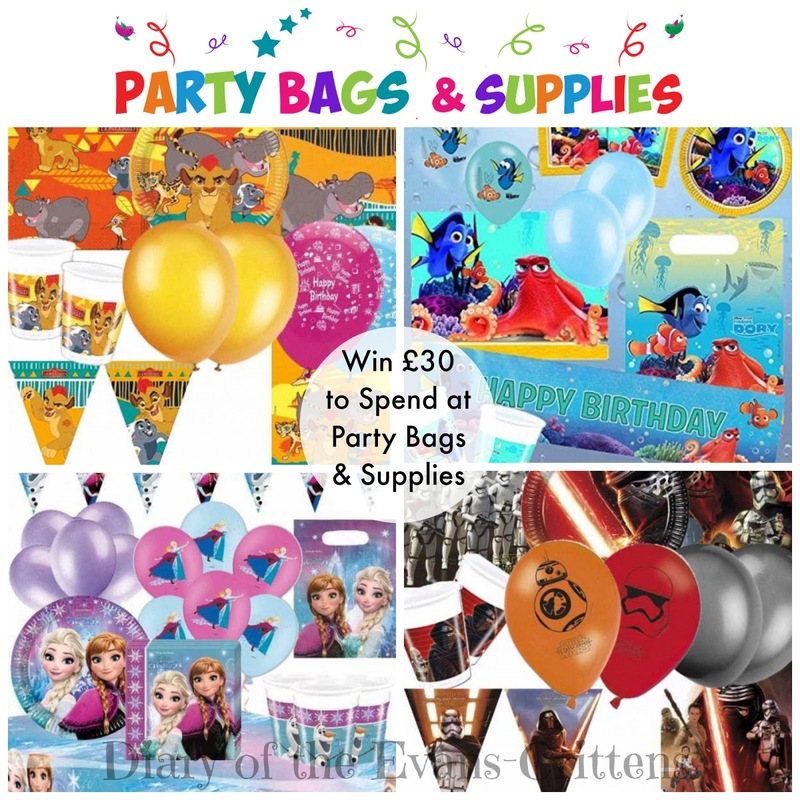 They have such a great range and I love their Party Kits which have everything you need to throw a party (no mismatching going on there I can assure you!). In collaboration with Party Bags and Supplies. I would spend it on baby's first birthday bits for my sons first birthday coming up soon! The red polka dot party ware is very stylish for 12 year olds! The Frozen birthday pack looks fantastic. My little boy really wants a Paw Patrol birthday party so that's what I'd choose. Ooh I'd definitely get a load of Avengers party stuff for my sons 5th birthday in September.